Planning a visit to France and cannot decide where to go? There are so many things to do in Provence with kids and I highly suggest you consider it. France is one of the most popular countries to visit in Europe and in my opinion, one of the best family holiday destinations in Europe. We recently visited the south of France with kids. 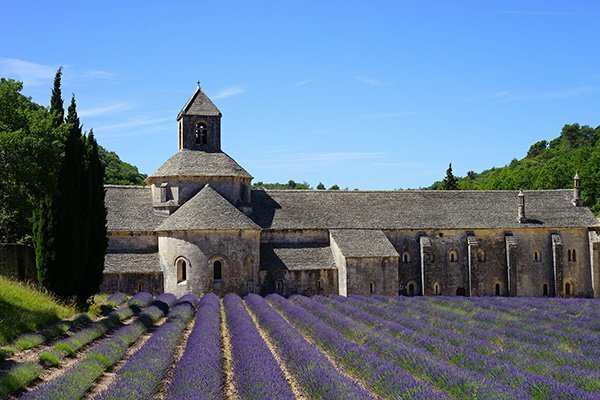 The region of Provence instantly brings thoughts of vineyards, beaches, sunshine and lavender fields. But that does not mean that the Provence region is not one of the great holidays in France with kids. 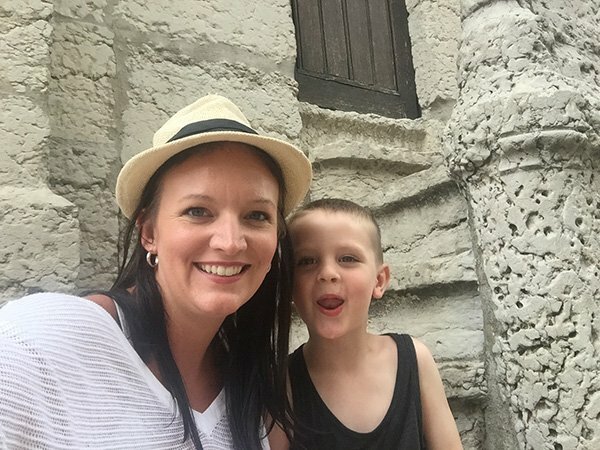 Keep reading to see all of the things to do in Provence with kids if you are planning an upcoming visit. So Where Exactly is Provence? Provence is located in south-eastern France and largely corresponds to the Provence-Alpes-Cote d-Azur administrative region of the country. 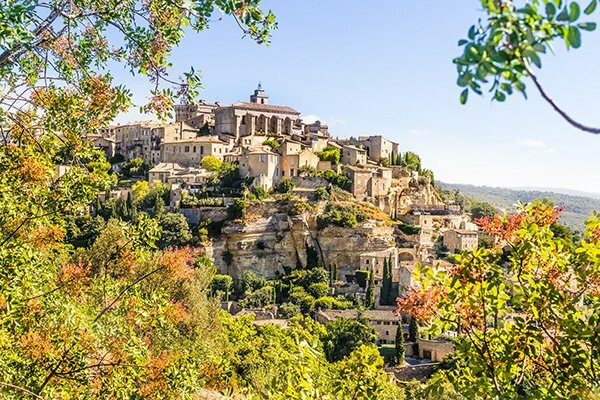 When we were planning our south of France family holidays, the Vaucluse region boasted some of the best towns in provence. First Time in Europe? Check out this helpful post about things to know before visiting Europe for the first time! The Vaucluse region of Provence contains three major centers, Avignon, Mont Ventoux and Luberon. We stayed at a beautiful converted mansion in the middle of these three towns called Pernes-Les-Fontaines. Hotel l’Hermitage was an ideal spot for our day trips and I would instantly recommend it for anyone’s family holidays in France! This was one of the family-run Provence Hotels and it was definitely one of the best places to stay in Provence L’Hermitage was small, only having 20 rooms, had a beautiful garden and pool where the kids could run and play and an amazing breakfast that kept us going all day! It was a popular spot for French holidayers as well as cyclists, and would be the perfect stop for those with older children on family cycling holidays. For those who are looking for hotels in Provence this cannot be found on most online booking sites. Best to check with the hotel directly for availability, as they still do their books by hand behind their desk! You can read our full review of Hotel L’Hermitage in Pernes-Les-Fontaines here. This provence accommodation provides a kitchenette, which is something I always look for when traveling with the boys. It is a centrally located option in Avignon, and within walking distance to the Palais des Papes. Located in the wine region in Aubignan, it has a pool and a kids pool as well as a kids club. I like their rooms designed with families in mind. This hotel ticks off our family hotel musts. 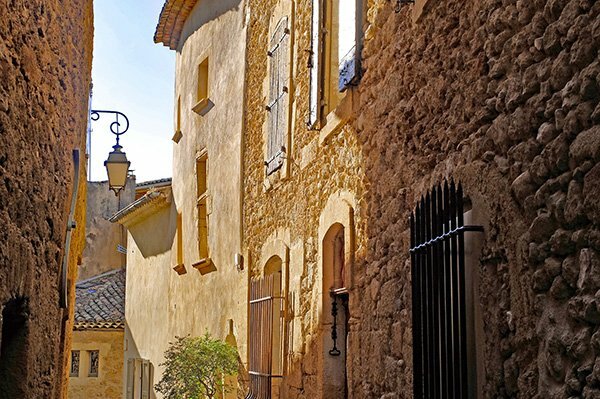 It should be kept in mind as it is one of the best villages to stay in provence if wine tasting is on your provence holiday. Put on your skin suits and head over to SplashWorld, the first water theme park in France! The slides were incredible and the children’s play areas were perfect for my boys! 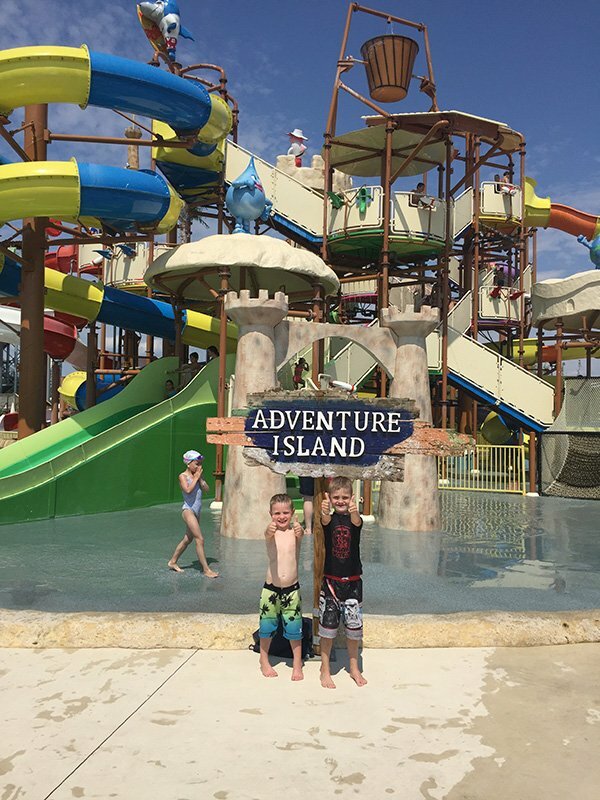 Older children and teens got a kick out of the tube rides and giant slides, while my littles were content to play in the shallow waters, the play area and the bouncey castles! 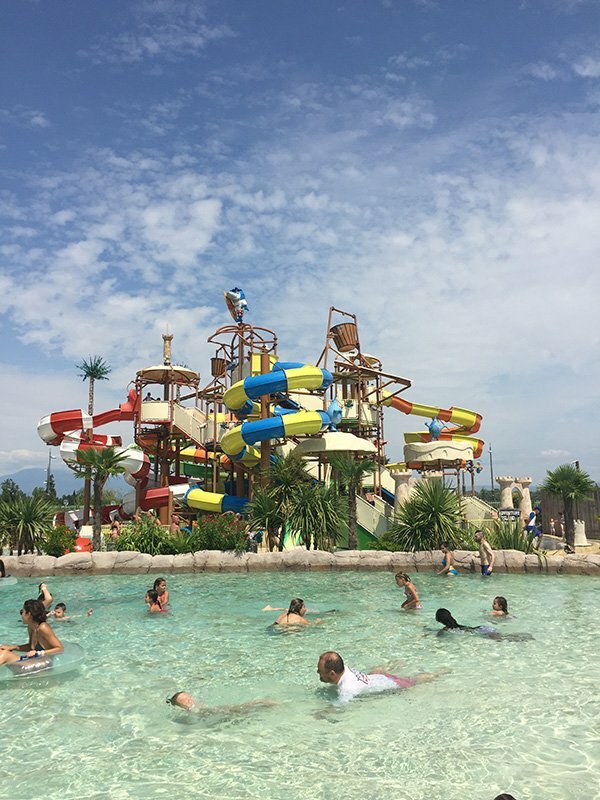 SplashWorld is definitely one of the fun things to do in France if you are traveling with kids, or if you are a big kid yourself! Such a fun family activity is kayaking with your little ones with Canoe Evasion. If you like nature and visit Provence, this is one of the best places to visit in France with kids in my opinion. 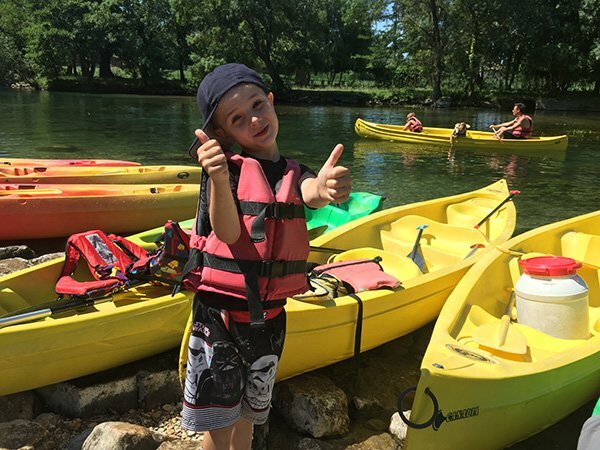 Smaller children can ride in the kayak with you while older ones can be at the helm while you steer the kayak along La Sorgue. But beware, La Sorgue took a liking to my Go Pro. While they supply you with a dry bin for your stuff, my go pro was not attached to a float. Do yourself a favour and spend the $10 on one! There are so many things to do in Avignon, it deserves a post in itself. When you arrive, you see the medieval ramparts surrounding the ancient city and the Palace of the Popes rising from behind the walls. The Palais de Papes is one of the popular things to see in Avignon and it is well worth a visit to marvel at the world’s largest gothic palace. Nine Popes lived here in the 14th century making it an important centre for the papacy for over 70 years. In Avignon you can also visit one of the oldest hotels in Europe, L’Hotel d’Europe. 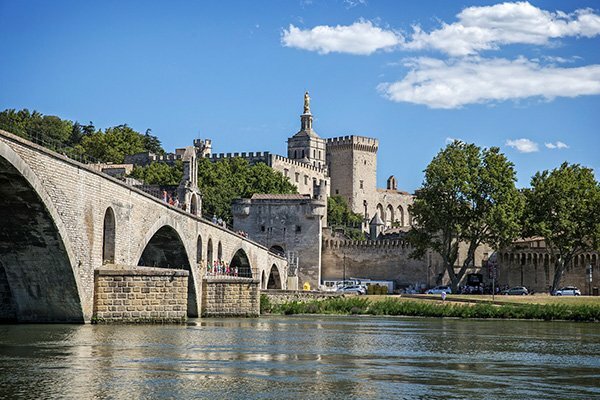 Click here for more Avignon Things to do! For a Day trip from Avignon, consider visiting Lyon. During the Summer Months, experience the Gruss family’s circus with acrobats, horses, big top performances and the elephant shower! Spend the whole day and evening at the grounds, or chose your events as per your schedule! There are picnic areas as well as a restaurant. You can check out their website here. If you are visiting the south of France with kids, definitely check our the Alexis Gruss Circus schedule. 6. Red Ochre in France? Yes you can find beautiful ochre in the Vaucluse region in Roussillon. Considered another one of the beautiful Provence towns, explore the natural reds and yellows to stunning oranges in the region. 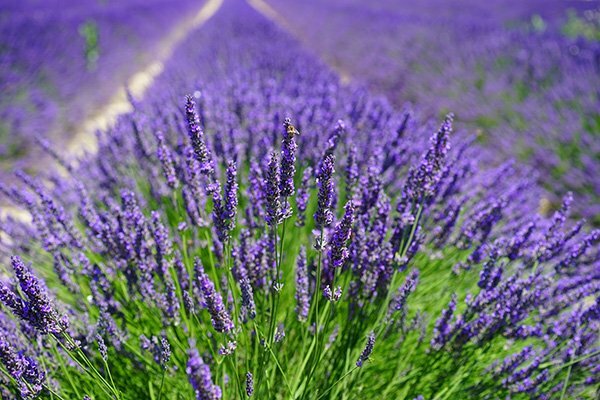 the Lavender in provence blooms from June to August and it is one of the popular things to do in Provence. Explore fields in Luberon and around Mont-Ventoux, in the region of Sault and Valreas. The Provence region is known for its vineyards, with rows of grapes stretching for miles. We visited Chateauneuf-du-Pape one afternoon, parking the car and wandering the hilled provence village. 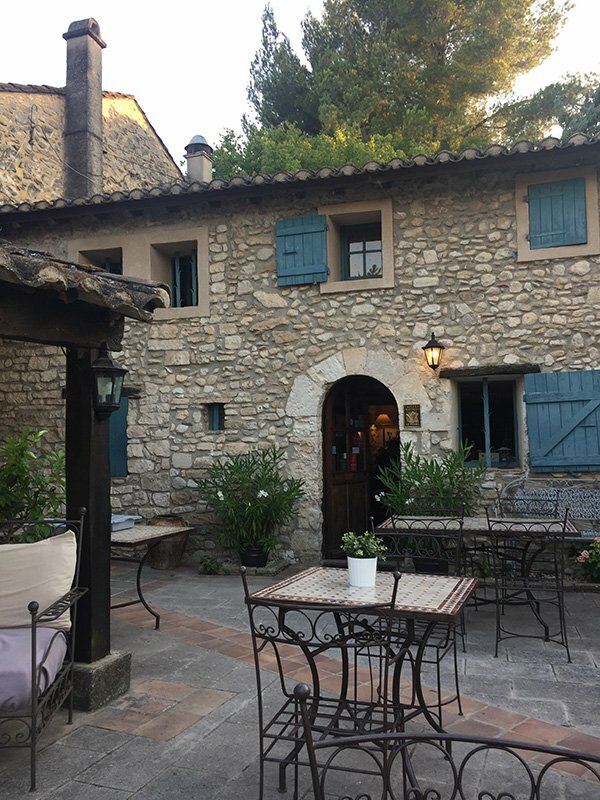 If wine is your thing, and even if it is not, check out one of these villages in Provence to see how these vineyards provide for the economy, and the winemakers of Vaucluse will teach you about their cellars, let you wander the vineyards, provide tastings and learn about the history of wine! Other popular regions besides Chaeauneuf du Pape, are Gigondas, Vacqueyras, and Beaumes de Venise. 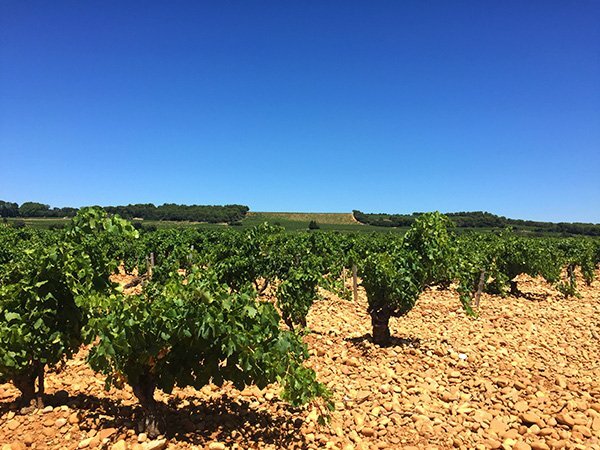 Interested in Wine tours in Provence? Click here for some great options. Close to Chateauneuf du Pape, Orange has been an important trade stop for 2000 years. It boasts an incredibly preserved Ancient Theatre and Triumphal Arch. 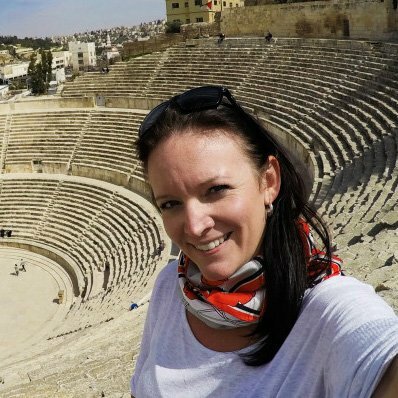 After visiting Jordan, I have taken a keen interest in other Ancient Roman cities, and marvel at the state of preservation after so many years! 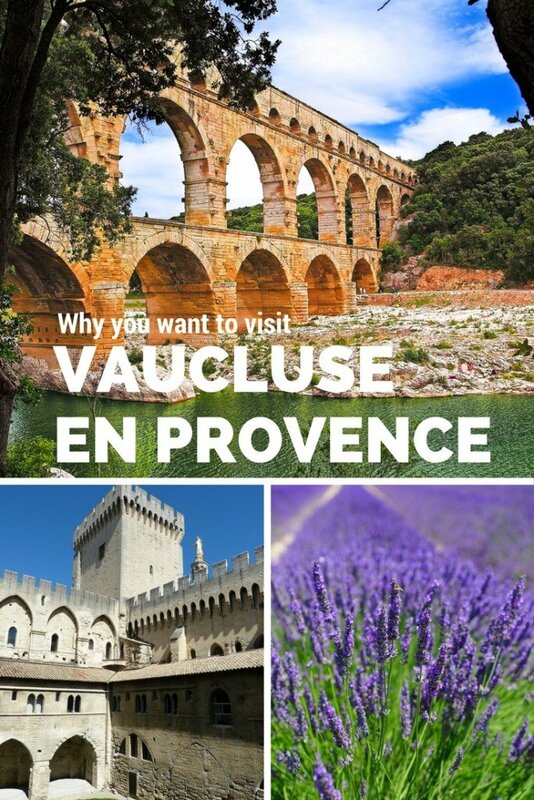 There are so many other things you can do in the region of Vaucluse with kids and we thing it is a great base for France family holidays. Our South of France Itinerary was made possible because we had rented a car from Auto Europe and picked it up at Charles du Gaulle Airport on arrival! While you can get around with busses, trains and airplanes, we picked a car for our two week holiday in France with kids. Because the boys are still little, having a car can be the most convenient. It means we can pick up and leave if we need to, it means we can get up and go when the timing suits us. 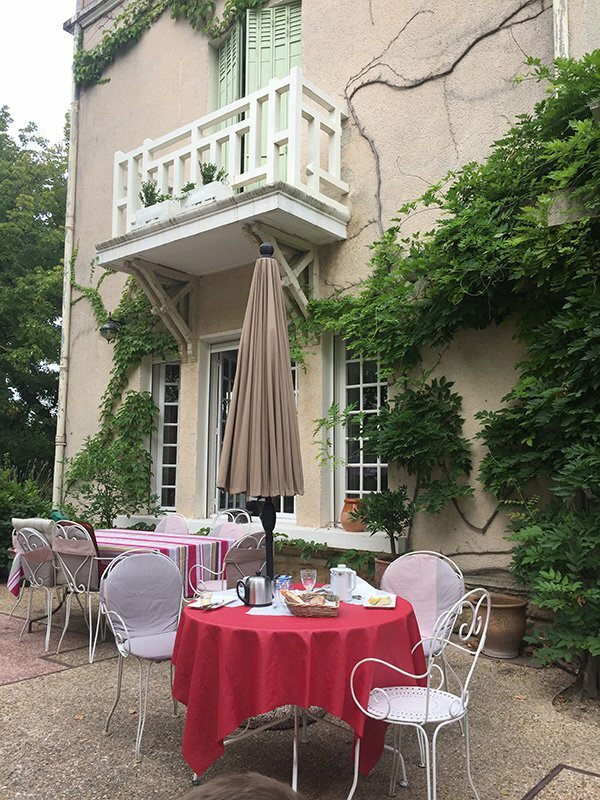 Having a rental car meant we were able to visit off the beaten path places in Provence, like our hotel in Pernes-les-Fontaines. Some of the best places to visit in Provence need a car and we were super happy with our rental choice of Auto Europe France. Viator also offers a half day tour from Avignon that includes the Pont du Gard, Les Baux de Provence, and Gordes. This is a great option if you do not have a car rental. You can check out the tour here. Here are a few things we wished we had packed for our France family vacation. Shopping Bag – plastic bags are almost impossible to come by in France. And if the store does have them they are expensive. Do yourself a favour and throw a couple in your suitcase for your supermarket shopping. Cooler – If you plan on travelling by car, throw a soft sided cooler into your suitcase to keep your food cool when you travel during the day. Since we had some hotel accommodation as well as some apartments, we often had cheese, and other snacks that needed refrigeration. Leave the flip flops at home. The French like to dress nice. Do yourself a favour and pack some nice shoes, as well as some comfortable ones for walking. I recently created a post about the Best Things to buy in Paris. Many of these things can be found in other regions of the country. I suggest you have a read of it and it will help you pick out some of the best souvenirs for you to keep an eye out for! Any questions about Provence? Let me know! Need “Pin”speration? Save the Image below to one of your pinterest boards! Wow what a great guide! I only think of lavender fields but there’s obviously loads more to do. What a dreamy trip to a paradise! Provence does indeed look like a magical place. 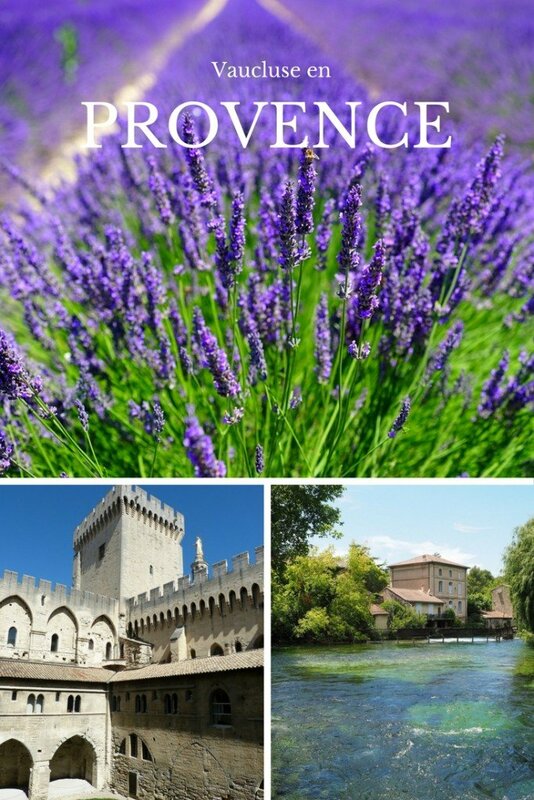 I think my husband and I need to add Provence to our travel list! This trip sounds amazing! I appreciate the tips for traveling the region with kids.